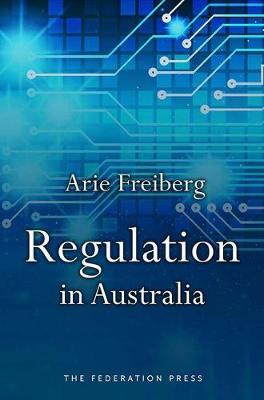 Regulation in Australia is the successor to Freiberg’s well-received title The Tools of Regulation published in 2010. This substantially enlarged work adopts an expansive approach to government regulation, viewing it as an arm of public policy that provides an understanding of what governments do and how they do it, rather than as a technical exercise in rule-making and compliance. Over 17 chapters, Regulation in Australia provides a comprehensive analysis of the nature of regulation, its historical origins in Australia and its development over the past two centuries, why governments regulate and who regulates whom at the federal, state and local government levels. Management of the regulatory process, the principles of good regulation and red tape in regulation are examined. The role of soft law, prescriptive, performance-based and principle-based regulation, as well as the use of rewards and incentives in regulation is also explored. How governments use economic, transactional informational and structural regulatory tools and authority tools is extensively discussed. The book examines why people or organisations do or do not comply, what enforcement measures can be used in the event of non-compliance and broad regulatory strategies used by governments. Regulation in Australia provides an accessible introduction to regulation which is firmly grounded in Australian law and practice. It will appeal to regulators, policy makers, lawyers and students of regulation.